A lamentable trend in national affairs of late has been to interpret reality on the surface of the status quo. If it is managed spectacles like no-confidence motions that divert attention from unpopular fiscal policy, for instance, we pick our horse and (at the risk of being violently unseated) we back our bête noire to the freshly minted politburo and back. Or if it is Machiavellian strategies to enter into cynical political marriages – as between MS and RW in the past, or RW and MR in the ring of realpolitik, and even MR and MS in a not too distant future – we, the people, accept the superficiality of it all. We do it by becoming unwitting stakeholders in the great game. In our commentary on media or social media. Or our questions and insights on the cocktail circuit or coffee klatches. By our mute ramblings in business chambers, brute dissembling on mean streets even if in protest, ‘bought the T-shirt’ sell-out to the three-ring circus that perpetuates the vicious cycle of petty partisan and post-partisan politics. In our knowing nods, ignorant assent or lame impotent dissent in the silence of polite civil society. So for most of the year or much of the tiresome cycle of spaces between visits to the polls, we mark time and hold our peace. In the meantime, elected and appointed representatives of the people don and wear for keeps the mask of which we appear increasingly powerless to strip hypocrite politicians who are clearly in it for the power, money, fame and even notoriety that garners interesting portfolios and fat bank balances; or simply the short term. But certain stirrings of latent ethno-nationalism driven politics and governance in our land must give us pause. For instance, over the burning of minority townships; or surprisingly, parliamentary proceedings over a storm in a teacup. The battle lines in the former were drawn by a handful of passionate but possibly misguided monks and their miscreant masters who would pass off army corporals as the malcontents who set Muslim homes and shops ablaze. In the latter it is no less nationalistic contenders on another front to spring to the rescue of an embattled government mandarin. Both cases reek of a nationalist or ultra nationalist bias. Once upon a time, it was certain very influential bureaucrats who seemed to support a strongman’s ethno-chauvinist regime in thought, word, and deed. Today, let’s add the savvy peacemakers who step into the breach to redeem a premier’s reputation – as much as the irrational arsonists already in the cauldron of chauvinism – to civil society’s woes and worries. The arson or its ilk, if allowed to run riot unabated again, could be the beginnings of another pogrom – the likes of which we have had enough of as a nation, state, and country. The cynical support in the House smacks of the same ethnic identity based politics. Both ethics are replete with non-starters in our national makeup if we’re really serious about transitional justice and would play more than lip-service to transforming our beloved isle from post-war nation wobbly on its feet into post-conflict ship of state steadily steaming ahead. Here then, are a few thoughts on how we can return to that happy state in which we found ourselves before a sword was used to wedge an artificial divide between conservative Sinhala Buddhists and beleaguered minority Muslims. And, if it is taken well, we can even hark back to those halcyon days when the Tamils and the Sinhalese were not at swords drawn. If the hiatus can be applied for long enough, we may even venture to those idyllic times (1948, 1996, etc.) when – for a brief shining moment – we were all Ceylonese or Sri Lankan or (whatever we called ourselves) one island-race. It is a return deeply to be desired. It is a spirit or ethos that still evades us. Canadian writer Margaret Atwood expressed the concept well when she hoped that “people will finally come to realise that there is only one ‘race’ – the human race – and that we are all members of it”. The idea has been adopted by many right-thinking citizens of the one planet we all have. Most recently, a group of European anti-racist scientists published a telling manifesto – ‘There Is Only One Race: The Human Race’. Such a lofty view may be merely wishful thinking of an idealistic few – until decent, normal, average, civilised, conscientised Sri Lankans across the ethnic spectrum acknowledge the nature, extent, and gravity of the problem. Racial or ethnic superiority is a relatively modern ideology which systematically categorises humans based on physical features – such as skin colour, facial features, and hair type. When such an ideology becomes the basis for assigning value, it becomes racism or ethnic chauvinism. In the end the ideology of race is a myth, because biologically ethologists have not found enough difference between humans to create sub-categories such as those used for social division. However, although scientists have abandoned the notion of race, the myth still exists today and continues to be used – and misused and abused – widely. It falls on the many to disabuse the few of their bias, bigotry, and shameful prejudices. While worldly approaches to race and ethnicity differentiate individuals along political, economic, cultural, and social criteria, this method of distinguishing people is quite alien to the ideal Sri Lankan zeitgeist. Most islanders have little time for petty-minded majoritarianism. Except when insidious agitators persuade them that it is in their narrow interests to safeguard their identity, rights, and other chimeras. In times like that, the historical existence of diverse peoples in our land – constantly acknowledged by constitution as well as citizenry – is forgotten. There is neither a super race in Sri Lanka nor a superior nation in Sri Lankans in the eyes of the world. Sri Lanka’s special calling – if any – always follows from a nexus of surrounding or supporting nations: India now, Pakistan then, China on in the time ahead. No pure or racially distinct group can be pinpointed in our past, and a ‘mixed multitude’ of peoples populates our present. If only we were willing to see such a real plurality as a strength, where individuals transcend their ethnic quiddity (thus they are), the factors that would otherwise limit, curtail, or prohibit the full development of our potential could be eschewed; even eliminated. Such a balanced and sober view encompasses the thinking that every single Sri Lankan, no matter how much the image of their citizenship is marred by age, gender, violence, illness, weakness, power struggles, nature (personality/temperament), culture (religion/language), politics, or any other factor, still has the status of being Sri Lankan – and therefore must be treated with the dignity and respect due to a citizen. This has profound implications for our conduct towards others. It means that people of every ethnicity deserve equal dignity, rights, and treatment in the course of national life. Significantly, while ethno-chauvinists treat ethnic and cultural identity as fixed, Sri Lanka’s chequered colonial experience shows how these develop, borrow, fragment, and reform within the history of our island race. Show me a “pure” Kandyan Sinhalese or Jaffna Tamil or Ceylon Moor and I will show you how some of us live in denial, despising our hybridity and commingling as an insular community. Thus truly national-minded commentators on ethnic strife and tension now need to propose radical shifts away from simplistic, ethnically-loaded categories assumed by ethno-chauvinist ideologues. 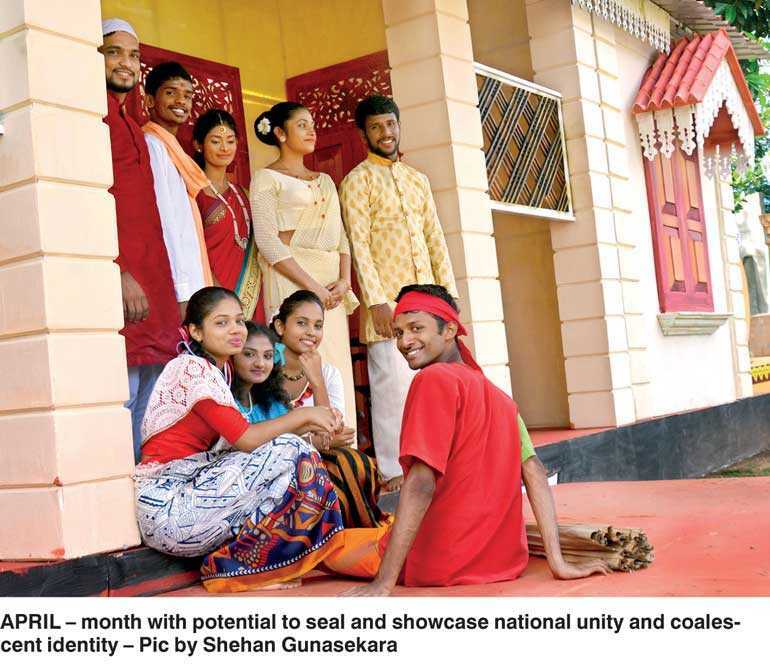 Present concerns point to the disturbing reality that outside the constitutional frameworks of a pluralistic society, many of the multiethnic peoples of Sri Lanka are uncertain of their own place, purpose, and identity in our democratic socialist republic. Due to pathetically ignorant attitudes among a few rabble-rousers, many citizens are unfairly and unnecessarily marginalised in determining their destiny under a common sun. Instead of reflecting on the kind of society we ought to create, in order to accommodate individual or communal heterogeneity, perhaps we all need to explore what kind of selves we need to be in order to live in harmony with others. Most among the majority seem to realise that rampant ethno-nationalism has a long, ugly history and will bring Sri Lanka shame and sorrow eventually. But many erstwhile moderates now militate towards an ultra-nationalistic ethic, following from incendiary manipulation of a latent tendency to marginalise and dominate the ethnic other. How the chauvinistic discourse is handled by the state and society will play a critical role in determining the world community’s response to us an emerging nation only recently liberated from the spectre of terrorism. Some growing challenges to Sri Lanka’s global well-being corresponding to concern over ethnic chauvinism have yet to be comprehended and convincingly addressed by our island race as a whole. If we are to move away from thinking in terms of disastrous majoritarian exclusivity, we must rethink some sacred texts, stop worshipping some sacred cows, and responsibly re-examine the meaning of what it means to be Sri Lankan at this stage in our joint history. This may be a utopian idea in the current context of egregious nationalism; but it is a necessary one. We have to start rethinking what it means to be members of an island race, in a melting-pot that defies definition and discrimination; and also begin the process of socialising the next generation into this new kind of identity. The time is past (in fact, a suitable time to reflect on time past and time present has just passed) when responsible politicians need to reflect more soberly and more sincerely on their mandate – over and above mere political survival. That posterity might remember the demagogue more kindly than the democratic statesman who effected a paradigm change must not deter the nobler political animals in leadership today. There is an increasing need for the nation’s real governors to rise above the morass of cynical manoeuvrings such as seen in the recent no-confidence motion and step up to the plate of history. However daunting the challenge to lay aside petty, partisan and political ambitions, there are (thank the stars or whatever mechanisms move your universe) still a few good men and women left with the potential to entertain thoughts of that sea-change. Therefore towards the end of something rich and strange – say, a new national identity not based on ethnic markers – let a small mission of prime movers make haste. There is the negative valence we Sri Lankans have towards time – we’re not usually punctual, so we tend to get labelled as late-comers or no-shows; so how about an aspirational character to the new national identity you hope to forge – Punctuality| Hospitality| Decency| (a national PHD thesis) – for two out of three isn’t bad for a start; and besides, the Sri Lankan New Year just gone by has demonstrated close to heart and home that we’re good at observing symbolic times meaningfully.